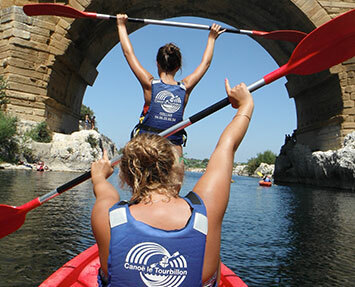 8km of canoeing starting from Collias and passing through one of the arches of the roman’s aqueduct Pont du Gard. Duration 2h minimum navigation (except period of higher water level) + your break time. 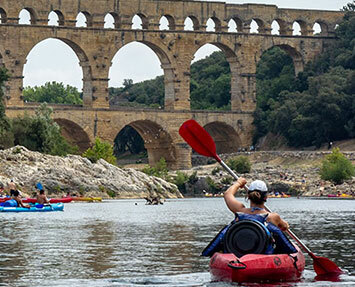 Tour starting from Pont Saint Nicolas to Pont du Gard – Remoulins. 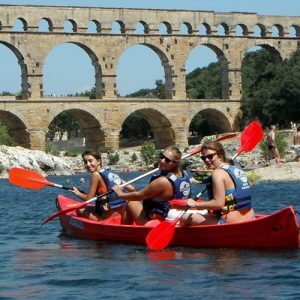 A scenery experience including the nature of the ”Gorges du Gardon” and the astonishing view of the Roman aqueduct. 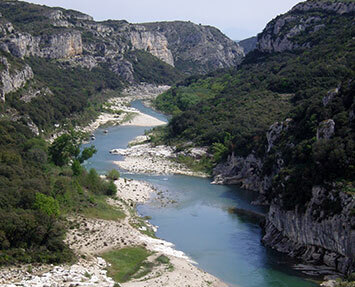 The compromise with 11km in the gorges du gardon and their unique environment. 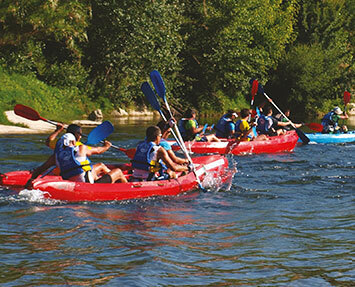 This tour starting from Pont Saint Nicolas to Collias. Duration 3h minimum. 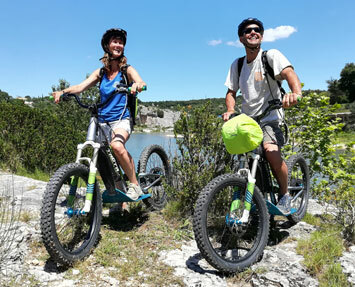 Particularly pleasant course for nature lovers. Long tour Navigation between Collias and La Baume sector Gorges du Gardon. Return by canoe (no road accessible). Includes carry and walkways. A long and quiet experience on the river. Starting from Russan (shuttle provided by our company) going through the gorges du Gardon and their unique and protected environment. Particularly pleasant route to spend the whole day on the river in the middle of nature. 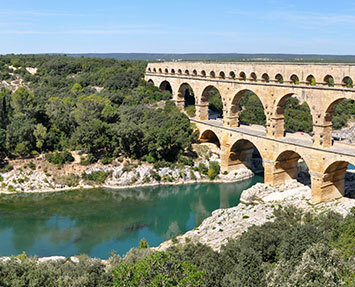 The second part twill includes the magnificent Roman aqueduct, the Pont du Gard. 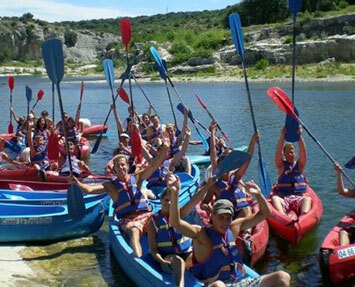 Descent in half day morning or afternoon.Embarcation of 2 to 4 people and provision of individual kayaks and C2 for the accompagnateurs.Loading of a place of bus at the landing stage to find the group. 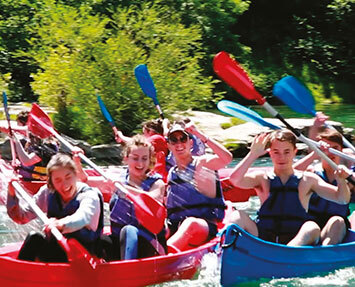 Descent in canoe C2, C3 with possibility of making available several individual Kayaks. Course 8km or about 3 hours of navigation for a group. 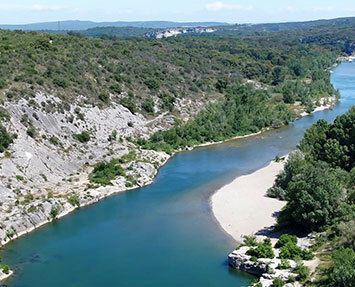 Parking cars at 3 chemin du Gardon or place for bus to the private pier of Remoulins.